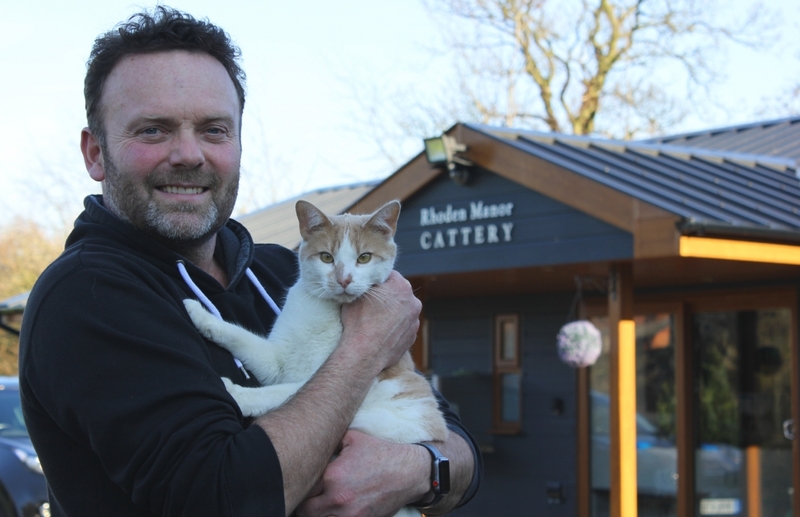 A CATTERY that last year won the Customer Friendly title at Hyndburn Business Awards is so popular it has feline friends booked in to stay in 2021. Rhoden Manor Cattery was purpose built on land at Higher Rhoden, Oswaldtwistle. A joiner by trade, Craig Dodding designed and built the complex, on an area previously used for stables. Rhoden Manor is classified as a five star cattery licensed for a maximum of 66 cats, with two penthouse chalets that can accommodate up to five cats each. Each chalet has a cat flap leading to a personal outdoor space with an artificial grass ‘catio’. Music is played in the two suites housing the chalets and the cats are very chilled. Videos of the cats ‘on holiday’ are recorded and posted on Facebook or sent to owners, so wherever in the world the owner is they can have peace of mind knowing their beloved pets are content. The business is set in a stunning rural location with deer, a heron, a kingfisher and up to 20 ducks as neighbours. Nominations will open from March 12 to April 16 and the presentation ceremony will be on Tuesday June 18.